Our Club offers to its members an exceptional network, from recent graduates to accomplished professionals. We organize events tailored to the variety of needs of our members, including those focused on politics, culture, science, technology, and…food & wine. Our flagship program “Path to Harvard” is geared toward promoting among young people the idea of applying to Harvard University. Each year the program engages dozens of Club members and thousands of high school and university students around the country. This year we have launched the 7th Edition of the program! 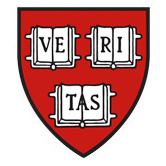 There are currently close to 150 members of the Club, including alumni of Harvard College and graduate schools, former scholars and students of executive programs, as well as current students at Harvard University. Our mission is to make our Club reflect you and your interests. We invite you to enjoy yourself by reconnecting with your fellow colleagues and attending one of our upcoming events. And we hope you will consider becoming a member of the Club. You can join by clicking here.